Parents often keep a running list of rainy day activities, crafts and games to keep kids indoors when the forecast is soggy. But if your kids have never dodged rain drops, built a snowman or enjoyed a lazy summer afternoon outside, they're missing out on something wonderful. Weather was cited as the biggest barrier to getting kids outdoors by 61 percent of parents recently surveyed by the National Wildlife Federation. But the outdoor activities kids love, such as running, jumping, climbing, playing games with friends and taking nature walks, are a great strategy for keeping children healthy and happy. Bring on the Rain. Rain can sometimes be blamed for causing children to catch colds or flu, particularly when their hair or feet get wet. However, rain cannot make you sick. Dress children in waterproof hats, boots and raincoats to keep kids from getting too soggy. If storm conditions develop, get out of any body of water and seek shelter in a nearby building. Prepare for mud and splashes in advance by keeping a heavy mat and dry towels by the front door. How Hot is too Hot? When temperatures climb, make sure to have plenty of water available and take precautions, such as applying sunscreen and wearing loose clothing that is light in color. Try to schedule outdoor time during the early morning and evening, which are often the coolest part of the day. Allergies. In many areas, seasonal allergies are another challenge for parents to contend with in regard to outdoor play. Experts say, in addition to any allergy medications recommended by your pediatrician, there are steps you can take to help allergic kids enjoy the outdoors. Encourage kids to go outside in the early morning and evening when pollen counts are lower. Cool shades or sunglasses can prevent allergens from entering their eyes. Have them shower and wash their hair once they come back in. Baby, It’s Cold Outside. Many moms and dads are reluctant to send kids outside when temperatures drop. The American Academy of Pediatrics urges parents to dress kids in several thin layers to keep them dry and warm, including warm coats, boots, gloves and hats. It’s also important to set reasonable time limits on outdoor play and have children come inside periodically to warm up. And don’t forget the sunscreen, as sunlight, especially reflecting off snow, can cause burns. “Kids should get at least 60 minutes of exercise every day, and it’s great if they can do so outside for the fresh air and more room to play,” said Dr. Jennifer Shu, a pediatrician and author of Heading Home with Your Newborn. 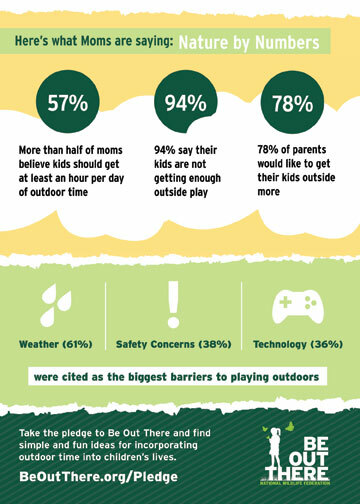 For more tips and advice on getting kids outside, visit www.BeOutThere.org/Weather and www.BeOutThere.org. 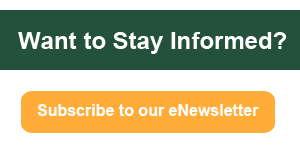 For more National Wildlife Federation news, visit: www.nwf.org/news.